Question: In feng shui of my kitchen, how important is the stove or oven mouth direction? I am a little confused with the fire mouth of the stove as related to the feng shui of my kitchen. In a feng shui book I read, it stated that the fire mouth is the feng shui direction from which the electricity or gas enters the stove. Another feng shui book mentioned it is the direction the oven was facing when you opened the oven door. What should I do with this information and how important it is for the overall feng shui of my kitchen? My oven is in the Northwest. Thank you very much. Answer: Unless you can actually change the location and direction of your stove, let's say if you plan to use feng shui in renovating your kitchen soon, I would suggest not worrying about the direction of the oven mouth. There are many details in feng shui, and all of them have to be applied by priorities. The direction of the oven mouth is hardly in the top 10, or even top 20 priorities for harmony in your home. What is important, though, is the location of the oven, because the oven brings a strong presence of the Fire feng shui element. So, the first and most important aspect in feng shui regarding the stove is its location in the bagua map of your home. Because the stove represents the Fire feng shui element, it is best to have it in a location that is compatible with its fiery energy. The South and Southwest feng shui bagua areas are considered ideal feng shui spots for the location of the oven. You mentioned your stove is in the Northwest. The feng shui element of the Northwest area is Metal, which is affected by the fire energy of the oven. In the destructive cycle of the five feng shui elements, Fire destroys Metal, so this is an area for you to focus on in order to create balanced energy in your home. In this case, it is good to look into some ​feng shui cures to help you remedy the situation. 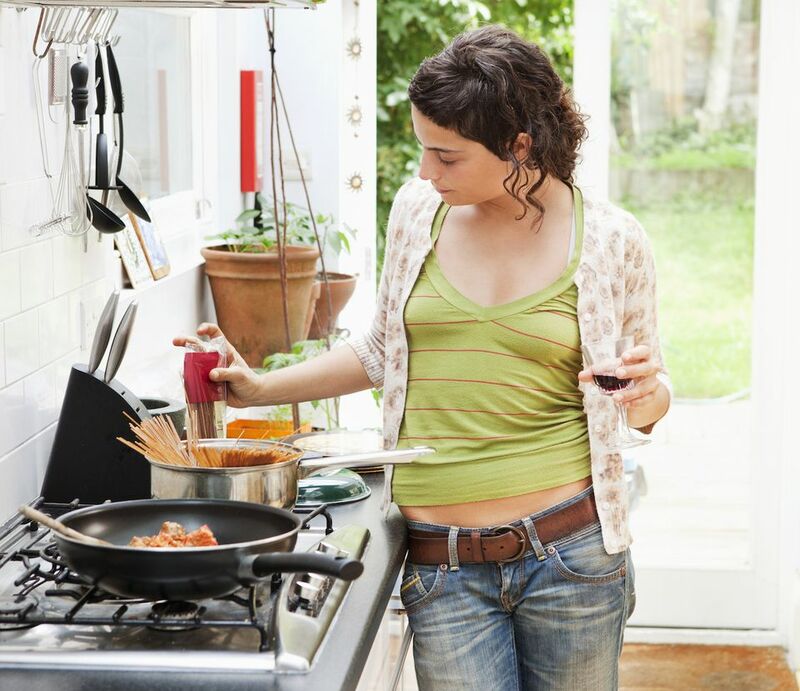 The second important feng shui point regarding the stove location and positioning is to have the stove positioned in a way that allows you to have a good view of your kitchen. Cooking with your back to all the action, so to speak, or with your back to the incoming flow of energy, is not good feng shui. Cooking in a weak spot or in a weak position is also not good for the quality of the food you cook. You probably do know that the food you cook is imbued with your energy, so it is important to have good energy in your kitchen, including a good positioning of the oven. Another important detail is the proximity of the oven (Fire) to the sink (Water), as the sink is the strongest expression of the Water feng shui element in the kitchen. When the oven and the sink are positioned very close, this might create a clashing quality of energy because of the way these two elements interact (Water puts down the Fire in the destructive cycle of the five feng shui elements). As for the oven mouth direction, you would need to define where the actual "feeding of the stove", or the electricity/energy is coming from. For example, if the plugs are on the north wall, that means the feeding energy for the stove comes from the north. It is not an overly important factor, though, and not often used in feng shui, but since you asked, here is the answer.